No Apple product arrives un-doomed and the HomePod is no exception. Writing for The Motley Fool, Rich Duprey brings us yet another edition of “Just Askin’!”, the new game show that literally nobody likes. Since the Newton?! Wow! That is a famous product that Apple made that did not achieve substantial success! Gosh, good pull there. Surely no one has referenced the Newton in the context of Apple failures in, er, probably a couple of days. The Cupertino giant rarely makes a misstep, but when it does, it’s usually dramatic. And dates to the Clinton administration. The Macalope doesn’t get why privacy simply is not an issue worth even mentioning for a huge swath of the people covering this stuff, but that is apparently the case. …and Apple’s failures are allowing them to sprint forward without any checks on their growth. Apple’s only failure here is most likely just a failure to really care that much. Selling devices close to cost in order to maximize e-commerce sales or advertising revenue isn’t a business Apple wants to be in. Amazon said the Echo Dot was the No. 1 selling product on the e-commerce site this Christmas, with all Alexa-enabled devices selling tens of millions of units worldwide. You know what sells in the scores of millions every quarter and comes with Siri? iPhones. Is it? Because let us, through the magic of time travel, jump down a few paragraphs, shall we? Adobe Analytics says that voice assistants are not a widely adopted device, and consumers still need to be convinced they need one. Duprey up top: MARKET FOR VIRTUAL ASSISTANTS LOCKED UP, LEAVING APPLE OUT IN THE COLD ON SMART HOME DEVICES. Duprey down low: Eh, not a lot of people actually have these things yet. As the saying goes, he who hesitates is lost, and while letting the competition beat it to the punch with their devices is bad enough, Apple is committing another forced error by also reportedly keeping the HomePod’s ecosystem closed to developers. Just like how the iPhone started and look how that turned out. TERRIBLE. Where Amazon and Google cut the price of their devices to under $30 for the holiday season to entice as many people as possible to buy them, Apple remains steadfast in its determination to sell the HomePod for $350. 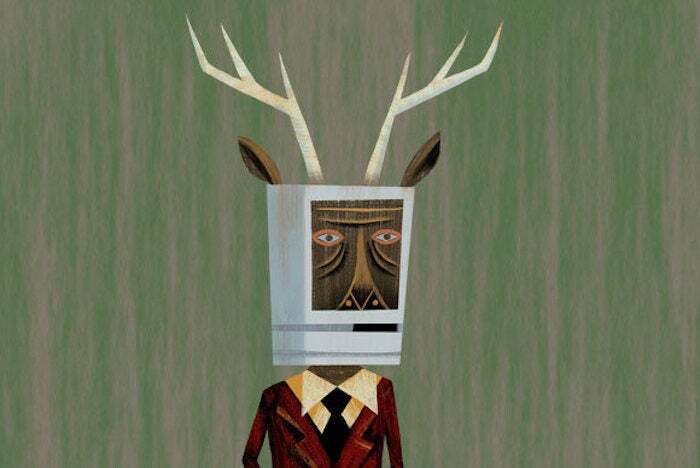 The Macalope personally thinks the HomePod and the Apple TV are overpriced. But, again, if this is a race to the bottom to pave the world in cheap pieces of crap like netbooks or Brand Z tablets, that’s a game Apple doesn’t want or need to play. The Macalope really doesn’t know if the HomePod will be a good product. Partially because the darn thing hasn’t even been released yet. But we’ve heard this “Apple is too late to the market” spiel before—with the iPod, the iPhone and the Apple Watch—and the horny one is not inclined to be very worried this time, either.